The new poster of Kangana Ranaut-starrer Manikarnika: The Queen of Jhansi has paid tribute to Rani Laxmi Bai on her death anniversary. The Rangoon star, who will be portraying Rani Laxmibai in the upcoming biopic, shared an image of her look on social media. 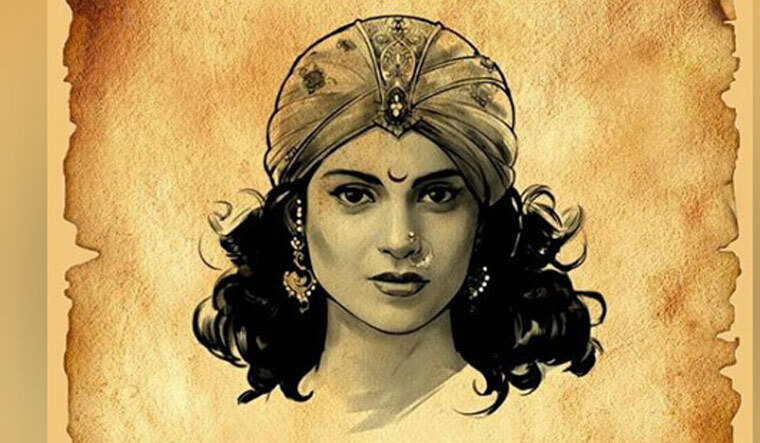 She wrote, "Remembering one of the bravest women that ever lived, #RaniLaxmiBai #Repost if you can't wait to witness her epic story on screen #KanganaRanaut as #Manikarnika. #deathanniversary #tribute #martyr #Queen #warrior #history." The period drama also features Atul Kulkarni in a pivotal role as Tatya Tope, Sonu Sood as Sadashiv and Ankita Lokhande as Jhalkarbai.